Retail Customer Cash Retail Customer Cash (13482). Consumers will receive Retail Customer Cash on select new vehicles. Take new retail delivery from dealer stock by 04/01/19. Residency restrictions apply. See dealer for qualifications and complete details. 2019 American Quarter Horse Member Offer CUSTOMER ELIGIBILITY - Eligible customers must be a member of AQHA for at least 60 days prior to the purchase of an eligible vehicle to qualify for this offer. Previous purchases will not be eligible for this incentive. The AQHA member links to http://www.fordspecialoffer.com/aqha from the AQHA website (www.aqha.com). They login to the website using their AQHA Member ID # and Zip Code (as printed on their AQHA Membership Card). AQHA members may contact AQHA Customer Service @ (806) 376-4811 if they need assistance processing their e-Certificate. AQHA members should present their e-Certificate to the Ford Dealership at time of purchase. 2019 First Responder Bonus Cash Direct Offer - $500 Bonus Cash offer exclusively for First Responders serving communities with the following jobs: Eligible Customers: Police - Police Officer - Sheriff/Sheriffx2019s Deputy - Correctional Officer - State Trooper - Federal Law Enforcement officer (Example: Customs, Homeland and Security, etc.) Fire Department - Career Firefighter - Volunteer Firefighter EMT - EMT - Paramedic - Customers will now be directed to www.fordspecialoffer.com/firstresponders to register and be validated online for their First Responders eligibility according to the program rules PRIOR to purchasing their vehicle. Select Inventory Retail Customer Cash (13500). Consumers will receive Select Inventory Retail Customer Cash on select new vehicles. Take new retail delivery from dealer stock by 07/01/19. Residency restrictions apply. See dealer for qualifications and complete details. AutoAlert Bonus Cash Direct Offer (37144). Valid on 2018 / 2019 Ford vehicles excluding Ford F-150 RAPTOR, Ford Mustang GT350, Ford Mustang BULLITT, Ford Focus RS. May not combine with private offers. Non-transferable out of household. Limit one per household. U.S. Residents Only. Must redeem using original offer; no duplicates accepted. Take new retail delivery from dealer stock by 04/30/2019. See dealer for qualifications and complete details. AutoAlert Bonus Cash Direct Offer (37116). Valid on 2018 / 2019 Ford vehicles excluding Ford F-150 RAPTOR, Ford Mustang GT350, Ford Mustang BULLITT, Ford Focus RS. May not combine with private offers. Non-transferable out of household. Limit one per household. U.S. Residents Only. Must redeem using original offer; no duplicates accepted. Take new retail delivery from dealer stock by 04/30/2019. See dealer for qualifications and complete details. Allstate Total Loss Direct Offer Allstate Total Loss Direct Offer (36832). Valid on 2018/2019 Ford vehicles excluding Ford F-150 RAPTOR, Ford Mustang GT350, Ford Mustang BULLITT, Ford Focus RS. May not combine with private offers. Non-transferable out of household. Limit one per household. U.S. Residents Only. Must redeem using original offer; no duplicates accepted. Take new retail delivery from dealer stock by 01/02/2020. See dealer for qualifications and complete details. Argo AI Employee New Car Voucher Program Argo AI Employee New Car Voucher Program (36000). Valid on 2018/ 2019 Ford vehicles excluding Ford F-150 RAPTOR, Ford Mustang GT350, Ford Mustang BULLITT, Ford Focus RS. May not combine with private offers. Non-transferable out of household. Limit one per household. U.S. Residents Only. Must redeem using original offer; no duplicates accepted. Take new retail delivery from dealer stock by 01/02/2020. See dealer for qualifications and complete details. Q2 2019 - Ford Dynamic Lead Submission (37120). Valid on 2018/2019 Ford vehicles excluding Ford F-150 RAPTOR, Ford Mustang GT350, Ford Mustang BULLITT, Ford Focus RS. May not combine with private offers. Non-transferable out of household. Limit one per household. U.S. Residents Only. Must redeem using original offer; no duplicates accepted. Take new retail delivery from dealer stock by 7/01/2019. See dealer for qualifications and complete details. Q2 2019 - Edge Customized Fulfillment Direct Offer (37126). Valid on 2018/2019 Ford vehicles excluding Ford F-150 RAPTOR, Ford Mustang GT350, Ford Mustang BULLITT, Ford Focus RS. May not combine with private offers. Non-transferable out of household. Limit one per household. U.S. Residents Only. Must redeem using original offer; no duplicates accepted. Take new retail delivery from dealer stock by 7/01/2019. See dealer for qualifications and complete details. Q2 2019 - Expedition Customized Fulfillment Direct Offer (37124). Valid on 2018/2019 Ford vehicles excluding Ford F-150 RAPTOR, Ford Mustang GT350, Ford Mustang BULLITT, Ford Focus RS. May not combine with private offers. Non-transferable out of household. Limit one per household. U.S. Residents Only. Must redeem using original offer; no duplicates accepted. Take new retail delivery from dealer stock by 7/01/2019. See dealer for qualifications and complete details. Q2 2019 - Ford Truck Customized Fulfillment Direct Offer (37122). Valid on 2018/2019 Ford vehicles excluding Ford F-150 RAPTOR, Ford Mustang GT350, Ford Mustang BULLITT, Ford Focus RS. May not combine with private offers. Non-transferable out of household. Limit one per household. U.S. Residents Only. Must redeem using original offer; no duplicates accepted. Take new retail delivery from dealer stock by 7/01/2019. See dealer for qualifications and complete details. Q2 2019 - ICI Ford Expedition $3000 Direct Offer (37064). New 2018/2019 vehicles: $3,000 on Expedition only. $750 on most Ford or Lincoln vehicles. Not available on Ford GT, F-150 Raptor, Focus RS, Mustang BULLITT or Mustang Shelby GT350/350R. May not combine with other private or commercial offers. A/Z/D Plan ineligible. Nontransferable out of household. Limit one per household. U.S. residents. Must redeem using original offer; no duplicates accepted. Prior purchases not eligible. Take new retail delivery from an authorized Ford or Lincoln Dealerx2019s stock by 7/1/19. See dealer for details. Note to dealer: Claim in VINCENT using #37064 and customer ID. Q2 2019 - ICI Ford Expedition $4000 Direct Offer (37074). New 2018/2019 vehicles: $4,000 on Expedition only. $750 on most Ford or Lincoln vehicles. Not available on Ford GT, F-150 Raptor, Focus RS, Mustang BULLITT or Mustang Shelby GT350/350R. May not combine with other private or commercial offers. A/Z/D Plan ineligible. Nontransferable out of household. Limit one per household. U.S. residents. Must redeem using original offer; no duplicates accepted. Prior purchases not eligible. Take new retail delivery from an authorized Ford or Lincoln Dealerx2019s stock by 7/1/19. See dealer for details. Note to dealer: Claim in VINCENT using #37074 and customer ID. Q2 2019 - ICI Ford Ranger $1000 Direct Offer (37076). New 2019 vehicles: $1,000 on Ranger only. $750 on most new 2018/2019 Ford or Lincoln vehicles. Not available on Ford GT, F-150 Raptor, Focus RS, Mustang BULLITT or Mustang Shelby GT350/350R. May not combine with other private or commercial offers. A/Z/D Plan ineligible. Nontransferable out of household. Limit one per household. U.S. residents. Must redeem using original offer; no duplicates accepted. Prior purchases not eligible. Take new retail delivery from an authorized Ford or Lincoln Dealerx2019s stock by 7/1/19. See dealer for details. Note to dealer: Claim in VINCENT using #37076 and customer ID. Q2 2019 - ICI Ford Ranger $2000 Direct Offer (37078). New 2019 vehicles: $2,000 on Ranger only. $750 on most new 2018/2019 Ford or Lincoln vehicles. Not available on Ford GT, F-150 Raptor, Focus RS, Mustang BULLITT or Mustang Shelby GT350/350R. May not combine with other private or commercial offers. A/Z/D Plan ineligible. Nontransferable out of household. Limit one per household. U.S. residents. Must redeem using original offer; no duplicates accepted. Prior purchases not eligible. Take new retail delivery from an authorized Ford or Lincoln Dealerx2019s stock by 7/1/19. See dealer for details. Note to dealer: Claim in VINCENT using #37078 and customer ID. Q2 2019 - ICI Ford Sedan $1000 Direct Offer (37062). Q2 2019 - ICI Ford SUV $2000 Direct Offer (37080). 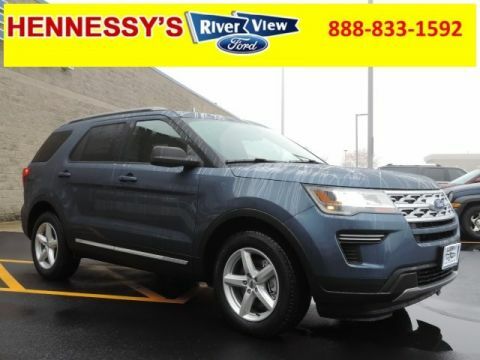 New 2018/2019 vehicles: $2,000 on Escape, Edge or Explorer only. $1,500 on EcoSport only. $750 on most Ford or Lincoln vehicles. Not available on Ford GT, F-150 Raptor, Focus RS, Mustang BULLITT or Mustang Shelby GT350/350R. May not combine with other private or commercial offers. A/Z/D Plan ineligible. Nontransferable out of household. Limit one per household. U.S. residents. Must redeem using original offer; no duplicates accepted. Prior purchases not eligible. Take new retail delivery from an authorized Ford or Lincoln Dealerx2019s stock by 7/1/19. See dealer for details. Note to dealer: Claim in VINCENT using #37080 and customer ID. Q2 2019 - ICI Ford SUV $5000 Direct Offer (37070). Q2 2019 - ICI Ford SUV $750 Direct Offer (37072). Q2 2019 - ICI Ford Truck $3000 Direct Offer (37056). Q2 2019 - ICI Ford Truck $3500 Direct Offer (37058). Morgan Stanley Reserve Direct Offer (36828). Valid on 2018/2019 Ford vehicles excluding Ford F-150 RAPTOR, Ford Mustang GT350, Ford Mustang BULLITT, Ford Focus RS. May not combine with private offers. Non-transferable out of household. Limit one per household. U.S. Residents Only. Must redeem using original offer; no duplicates accepted. Take new retail delivery from dealer stock by 01/02/2020. See dealer for qualifications and complete details. Palo Alto GSR Employee New Car Voucher Direct Offer (36974). Valid on 2018/2019 Ford vehicles excluding Ford F-150 RAPTOR, Ford Mustang GT350, Ford Mustang BULLITT, Ford Focus RS. May not combine with private offers. Non-transferable out of household. Limit one per household. U.S. Residents Only. Must redeem using original offer; no duplicates accepted. Take new retail delivery from dealer stock by 01/02/2020. See dealer for qualifications and complete details. Reacquired Vehicles (RAV) Direct Offer (36830). Valid on 2018/2019 Ford vehicles excluding Ford F-150 RAPTOR, Ford Mustang GT350, Ford Mustang BULLITT, Ford Focus RS. May not combine with private offers. Non-transferable out of household. Limit one per household. U.S. Residents Only. Must redeem using original offer; no duplicates accepted. Take new retail delivery from dealer stock by 03/02/2020. See dealer for qualifications and complete details. Q2 2019 - Ford Edge RCL Renewal Direct Offer (37024). 2019 Q1 Special Events $750 Direct Offer (37010). Valid on 2018/2019 Ford vehicles excluding Ford F-150 RAPTOR, Ford Mustang GT350, Ford Mustang BULLITT, Ford Focus RS. May not combine with private offers. Non-transferable out of household. Limit one per household. U.S. Residents Only. Must redeem using original offer; no duplicates accepted. Take new retail delivery from dealer stock by 10/31/2019. See dealer for qualifications and complete details. 2018 Q3 Special Events $750 Direct Offer (36600). Valid on 2017/2018/2019 Ford vehicles excluding Ford F-150 RAPTOR, Ford Mustang GT350, Ford Mustang BULLITT, Ford Focus RS. May not combine with private offers. Non-transferable out of household. Limit one per household. U.S. Residents Only. Must redeem using original offer; no duplicates accepted. Take new retail delivery from dealer stock by 02/01/2019. See dealer for qualifications and complete details. 2019 UAW New Hire Voucher (36856). Valid on 2018 Ford vehicles excluding Ford F-150 RAPTOR, Ford Mustang GT350, Ford Mustang BULLITT, Ford Focus RS. May not combine with private offers. Non-transferable out of household. Limit one per household. U.S. Residents Only. Must redeem using original offer; no duplicates accepted. Take new retail delivery from dealer stock by 04/01/2020. See dealer for qualifications and complete details. 2018 UAW New Hire Voucher (36408). Valid on 2018/2019 Ford vehicles excluding Ford F-150 RAPTOR, Ford Mustang GT350, Ford Mustang BULLITT, Ford Focus RS. May not combine with private offers. Non-transferable out of household. Limit one per household. U.S. Residents Only. Must redeem using original offer; no duplicates accepted. Take new retail delivery from dealer stock by 01/02/2020. See dealer for qualifications and complete details. 2019 X-Plan Ford Performance Partner Recognition (36812). Valid on 2018/2019 Ford vehicles excluding Ford F-150 RAPTOR, Ford Mustang GT350, Ford Mustang BULLITT, Ford Focus RS. May not combine with private offers. Non-transferable out of household. Limit one per household. U.S. Residents Only. Must redeem using original offer; no duplicates accepted. Take new retail delivery from dealer stock by 01/02/2020. See dealer for qualifications and complete details. Farm Bureau Association eCertificate Offer Customers may enroll via their Farm Bureau member websites. Their membership ID is required for online enrollment only. Additionally, eligible Farm Bureau members may contact Farm Bureau Customer Service @ 1-888-322-5862 if they need assistance processing their e-Certificate. Farm Bureau members should present their e-Certificate to the Ford Dealership at time of purchase. 2019 Mobility Motoring Program The 2019 Mobility Motoring Program, offers financial assistance on the adaptation of eligible vehicles to physically disabled drivers and passengers up to a maximum of $1,000 (except for alert hearing devices, lumbar seats and running boards which are limited to a maximum of $200). Maximum reimbursement is $1,000. Customers may download a Mobility Motoring Brochure or Resource Guide from the website www.fordmobilitymotoring.com for further information. 2019 SIRIUS Satellite Subscription Vehicles ordered with the SIRIUS Satellite Radio factory-option will include a six-month all-access subscription. Listed Incentives are available for registrations at River View Ford located in Oswego, IL. Information Provided by Automotive Information Systems, Inc: Information is Reliable but not guaranteed. Finance Offers (APR) are available to qualified buyers subject to Credit Approval, not all buyers will qualify.